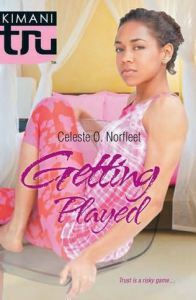 Best-selling author, Celeste O. Norfleet may write about teen girls who are “fish out of water”, but she is certainly not one when it comes to writing for teens. Her novels have earned numerous awards and nominations including YALSA Quick Pics for the Reluctant Reader. 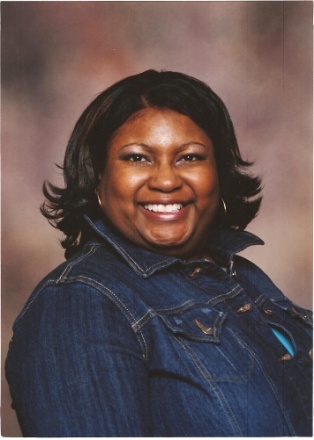 Celeste lives in Virginia with her husband and two teenagers. 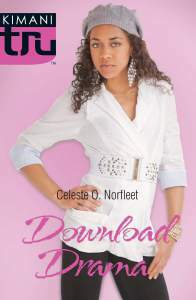 The Brown Bookshelf is proud to honor Celeste O. Norfleet February 25, 2014 on 28 Days Later. I consider myself a late bloomer to the writing and publishing world. In truth, I never saw myself as a writer or published author. My background is in illustration and graphic design and I worked as an art director in an advertising agency for many years. It wasn’t until I became a stay-at-home mom did I reconnect with my love of reading and writing. My journey to becoming a published author began when I wrote my first novel in 2000. It was a woman’s romance. I sent the manuscript into a publishing house and received a publishing contract six months later. That novel, Priceless Gift, was published in 2002. Four years later, while still writing romance, my editor at Harlequin Kimani, Evette Porter, asked me if I was interested in writing a synopsis for the new imprint called Kimani TRU targeted to African American young adults. I was eager to try something new, so needless to say I was thrilled to have the opportunity. I always wanted to write for a young audience, so being asked to submit to Kimani TRU was an honor. Also, with two teenagers at home at the time, I absolutely loved the idea of writing something they could enjoy reading. I approached the YA synopsis like I do all of my projects, I did major research. I wanted to create a unique story with characters that would reflect the issues concerning African American teens. But instead of going to the library and researching romantic locations as I usual did, I talked to my son and daughter and their friends, I went to the local mall, I listened to music and began watching television geared to the youth market. Within a week I had an idea for a story of a young girl in a fish out of water scenario. I love writing connected series novels, so I decided to create a friends series for my first young adult novel. I came up with the idea of a young materialistic teenager named Kenisha Lewis who had everything she could ever want. Then I slowly took everything away to show her what was really important in her life. I also surrounded her with great secondary characters including her love interest, Terrence Butler, and two incredible best friends, Jalisa Saunders and Diamond Riggs. Of course a novel wouldn’t be interesting without a few antagonists. For this I threw in the neighborhood thug, a frenemy and her father’s girlfriend. The idea of the Kenisha Lewis series grew from there. I outlined the main plot and story idea with an emphasis on great characters and then I decided to write the story in first person from Kenisha’s point of view. I wanted the story to be intense, but with a touch of humor, centering on forgiveness, acceptance, and of course a lot of family love. The language is teen orientated with references to today’s pop culture. I submitted a proposal. 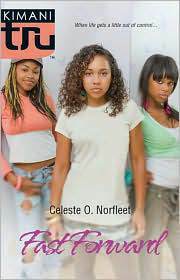 It was immediately accepted and Pushing Pause, the first in the Kenisha Lewis series, was released in 2007. After the release and success of Pushing Pause, I was asked if I’d was interested in writing another young adult novel, but this time with a co-writer, my daughter. I broached the idea with my then fourteen year old daughter and we decided it would be something we could do. 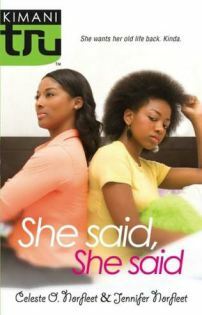 Together we came up with the idea of a mother and daughter relationship novel called, She Said, She Said. I love writing and creating complex characters in relationships and She Said, She Said is a fascinating novel on how a mother and daughter rebuild a family bond with mutual respect, acceptance, humor and love. Writing this novel with my daughter was an incredible experience for both of us. I have since written four more novels in the Kenisha Lewis series and look forward to continue writing for the young adult market. My current young adult novel is entitled, Download Drama. In the novel I continue the family issues and day-to-day struggles of my teen protagonist, Kenisha Lewis. Kenisha finds herself in deep drama when money is tight and there’s a very real possibility of her grandmother losing the family home. She wants to help out, so she gets a job dancing in a music video. The glamour she expects is soon overshadowed by the reality of the business when she begins dancing for an abrasive, spoiled performer who quickly becomes jealous of her talent. The main storyline of Download Drama is centered on the hip-hop music industry and the popularity of online social networks. The concept of this novel came about after seeing a number of young adults making it big via Internet success. With this in mind, I decided to incorporate a new element into the Kenisha Lewis series — fame. The idea of uploading a dance video and having that few minutes of fame change a life was intriguing and the current popularity of social networks fed into the storyline perfectly. My writing process begins with a story idea and then I start plotting the main situations. I focus on drama, drama and more drama. Then I begin sketching out the characters. If I’m writing a series novel, I already know who my characters are, if not, I create character sketches. Afterwards I focus on scene locations. Using several map engines, I literally go ground level checking out streets, landmarks, points of interest and neighborhood locations. It’s a great way to research without leaving my office. After that I write a very loose synopsis outlining the main situations, locations and characters in each chapter. I tighten up the synopsis focusing on details and character dialogue. Since I feel it’s essential to have the characters interacting realistically, I spend a lot of time researching current slang, pop culture and teen interests. I try my best to stay relevant and keep current. For instance, my first novel, Pushing Pause, mentioned MySpace, my current novels don’t. I also listen to a lot of hip hop, rap and go-go music to help keep the young elements fresh. 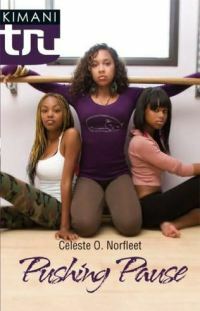 To learn who is the model for her male characters and more interesting facts, visit Celeste’s website Celeste Norfleet. Ooh – fierce covers! The colors pop, and the storylines sound like they’re really exciting – fun and addictively readable.